Receiving news of a cancer diagnosis is devastating. It launches you and your family into a tumultuous time of surgical procedures, chemotherapy, financial hardship, and difficult decisions. Imagine being put through all of this only to find out that you have been misdiagnosed. At first, you may experience relief, but you may also suffer physically and financially from the fallout of this horrifying error. Medical misdiagnosis is a common reason medical malpractice lawsuits are filed. A medical misdiagnosis can wreak havoc on your life by causing unnecessary procedures, mental anguish, and medical bills. Medical malpractice laws are in place to protect the patients and ensure that the medical community provides the absolute best care possible. When a healthcare provider fails to provide proper care by misdiagnosing a patient, the injured party may be entitled to receive compensation for any resulting harm. Hiring an experienced Raleigh medical malpractice attorney can ensure that you receive just compensation for any hardship suffered due to a misdiagnosis. What is a Medical Misdiagnosis and How Does it Happen? Simply put, a medical misdiagnosis is an inaccurate identification of a medical ailment. It is also known as a diagnosis error or failure to diagnose. An example would be diagnosing a benign tumor as malignant. There’s often a variety of factors involved in how a medical misdiagnosis occurs. A patient with vague symptoms combined with a negligent medical professional, and a failure to follow proper protocols are the perfect storm for a misdiagnosis. Other reasons a medical misdiagnosis could occur include faulty medical equipment, language barriers, and communication issues between medical professionals. According to a 2015 study by Diederich Healthcare, diagnosis issues including misdiagnosis, diagnosis errors and failure to diagnose are the most common and costly reasons for medical malpractice payouts. Diagnostic errors affect as many as 12 million Americans per year. The degree of harm from those misdiagnoses varies, but it’s also known to be the most dangerous form of medical malpractice. It’s estimated that 126,000 Americans die each year due to misdiagnosis or failure to diagnosis common health issues. Perhaps the most stunning misdiagnosis statistic came from this 2013 study, that showed cancer misdiagnosis rates to be at 28%. That same study also polled doctors for possible reasons and solutions. Common problems included communication issues and subpar pathology diagnosis resources. Many doctors expressed a desire for improvement, citing the associated hardships for patients and hospitals due to misdiagnosis. A medical misdiagnosis can lead to serious injury or even death. Common cases of misdiagnosis include heart attacks and disease. An example of this would be a patient going to the emergency room for chest pains and a doctor diagnosing him or her with heartburn. Cancer misdiagnoses are unfortunately common and the most devastating and costly. The most common types of cancers that are misdiagnosed include lymphoma, breast cancer, sarcomas and melanoma. A misdiagnosis can result in a patient being subjected to unnecessary procedures that can harm your health and even cause injuries. Additionally, if a misdiagnosis causes a medical professional to fail to recognize the real health problem, there could be unnecessary delays in helpful treatments. In extreme cases, a misdiagnosis can also end in death. In addition to medical bills stacking up from unnecessary procedures and office visits, a patient could ensure financial hardships through missed wages. 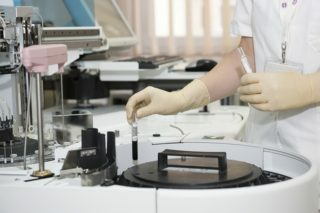 Medical procedures often include recovery times in which a person cannot work. If the patient is in a situation where sick leave is not offered, missed wages can be disastrous. This financial hardship is twofold if a family member also misses work to care for the patient. Learning of a medical condition such as cancer can cause mental anguish for the patient and his or her family. Learning of a misdiagnosis can have an equal effect, as it presents a new set of problems. However, you do not need to let the ins and outs of medical malpractice add to your anguish. Hiring an experienced Raleigh medical malpractice attorney can put you and your family at ease. If a treatment seems extreme or invasive, get a second opinion before proceeding. Go with your gut feeling – if something seems off, don’t be afraid to push back or ask more questions. Your health is at stake. Misdiagnosis is often discovered post-treatment. If the treatment failed and symptoms still exist, there’s a chance the patient has been misdiagnosed. Your health is of utmost importance, so seeing a doctor for a second opinion and an accurate diagnosis should be your top priority. Gather all the test results, paperwork and medical bills related to your diagnosis and contact a Raleigh medical malpractice lawyer immediately. In North Carolina, the medical malpractice statute of limitations is generally three years from the date of the injury and 2 years from the date of death. There are some exceptions to this in cases where injuries are not apparent right away or if the injured party is a minor. There is also a cap of $500,000 on non-economic damages. such as pain and suffering. It is important, therefore, tha an experienced medical negligence attorney analyze your case to make sure you receive all economic loss available that you may deserve. If you’ve been harmed by a medical misdiagnosis, it is important to retain a medical malpractice attorney right away. The statute of limitations is short and cases involving medical malpractice can be complicated. Dealing with the physical, emotional and financial effects of a medical misdiagnosis is difficult, but our experienced Raleigh medical malpractice team is here to help. 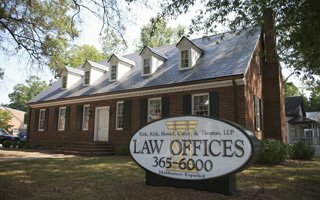 Call Kirk, Kirk, Howell, Cutler & Thomas, LLP at (919) 615-2473 or complete the online contact form below to speak with a Raleigh medical malpractice attorney today.